Yes, I know they don't match. They're supposed to be "delightfully asynchronous". It makes people ask questions. Rowan appears to think that socks look better with dogs in the picture. Frankly I agree, although I think the dog rather steals the show. Hi. I'm here! You can take pictures again! Or maybe she was just glad to have me alone on the couch after a weekend full of people going everywhere. 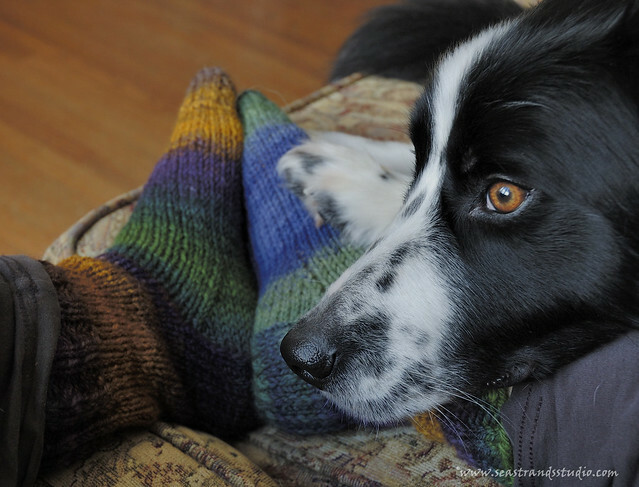 Great socks and a lovely doggy – warmth, love and friendship, nothing can be better! 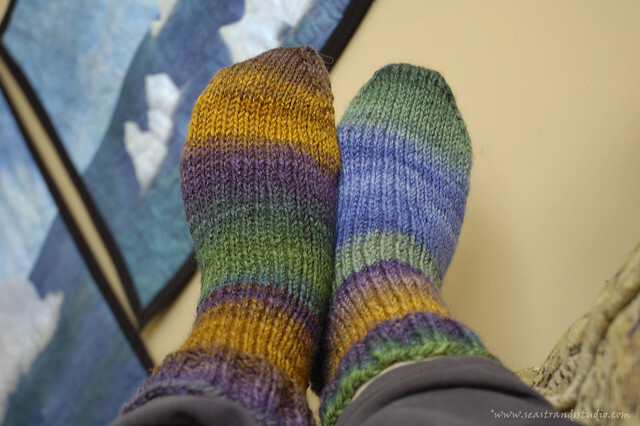 I am a fan of non-matching socks as well – so interesting! I love the picture in your heading – is this your studio? It looks unbelievably wonderful! Love the socks! And the dog! 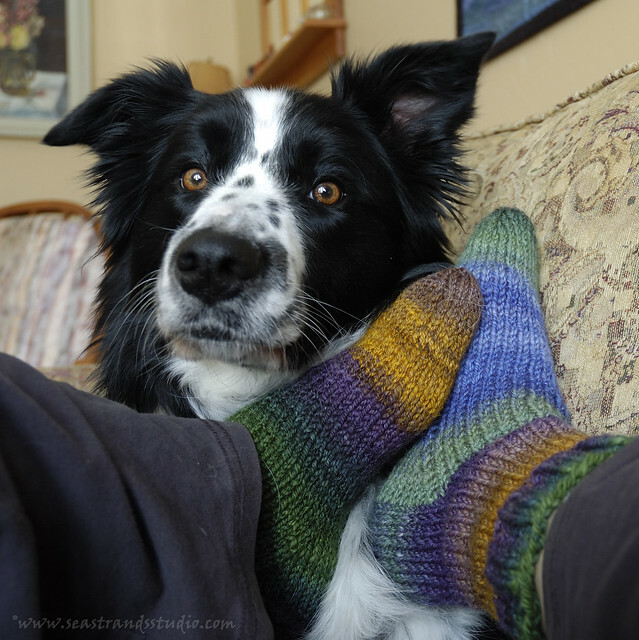 She looks very similar to a rescue at Glen Highland Farm, so I was startled to see her face above your socks. lol Spring’s here, although it’s playing coy…snow this morning, but that’s mostly gone (thank goodness). Love the peek of your art quilts in the photos. Asynchronous socks do not come from &$#-mart. That last shot is awesome, could’ve been a contender in the “Capture Craft” contest.